What’s in Store? : Shamaeel Ansari Eid Exhibition at Ensemble Lahore! For those of you who’d really like to stand out and turn some heads this Eid, be sure to visit the Shamaeel Ansari Eid Exhibition at Ensemble, Lahore tomorrow! Where most Eid collections tend to find safety in tradition and sometimes even plain backward fashion antics, Shamaeel Ansari stays loyal to her signature working with her latest FPW5 oriental and marble prints on luxuriant sheer fabrics cut in easy kimono and kaaftan shapes. The best part are the abstract printed silk chooridar pants, just when we thought we were done with chooridars, Shamaeel makes them seem irresistible just like that! 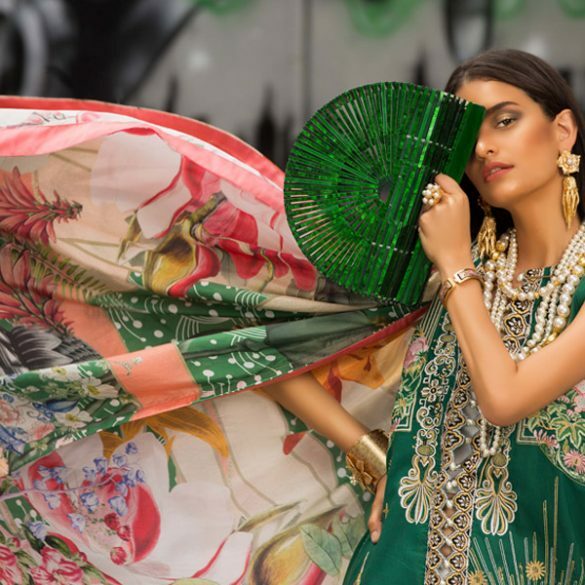 While Shamaeel will be showcasing brand new limited edition pieces for Eid, the exhibit will also offer her original FPW5 collection due to popular demand. The colors are soaked in toasted rusts and underplayed gold with Persian pinks and silhouettes baring a fresh concept of ‘Modern Festive’ creativity to overcome the seasonal retreat to waves of played out fashion under the title of ‘classics’. This Eid we look forward to seeing Shamaeel’s innovative prints and seamless stitches wake up the fashionista within that usually fades into oblivion this time of year. Watch out for softer rounded hemlines, Kimono off-shoot cuts, thrilling complex prints, and opulent layered works all at the exhibition tomorrow to be held at Ensemble, 10Q, Gulberg 2, Lahore from 11am onwards. Visit Shamaeel’s profile to view the complete FPW 5 Collection. What's in Store? : Make a Statement this Eid with Daaman!